Collabware is excited to be a sponsor and exhibitor for the second time at the 16th Annual Conference for the Digital Government Institute on Thursday March 28, 2019. This event will take place in The Pavilion Room at Washington DC’s Ronald Reagan Building and is FREE for all US Government officials to attend. Click here to register. 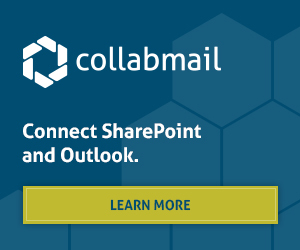 Collabware is the expert in legal and regulatory compliant records management using SharePoint. Come by the Collabware table to see a demonstration on how our DOD-certified solutions enhance SharePoint to increase productivity, ensure requirements are met for Presidential Mandate M-12-18, and NARA UERM, and reduce cost of content filing and record declaration time with automating classification and declaration. “As the volume of digital information continues to grow, the scope of electronic records management has expanded exponentially and is an increasingly critical issue for government agencies, particularly as it relates to providing secure storage, access and retrieval of government records. The Managing Government Records Directive (M-12-18) outlining the goal of having all permanent government records stored electronically by 2019 continues to be top-of-mind within the E-Discovery and RM community.